Cooking games, maker, dressup, makeover and racing games are love for little fun loving kids. Ice creams, ice candy, chocolate and cupcakes are their favorite edibles. All of them like to solve puzzles, color in different designs and draw shapes and figures. They all like to be a doctor, dr., dentist, teacher or office workers. And with all these commonalities, there is one other thing all little fun kids love – being a chef, cook things and make new recipes for all different things. 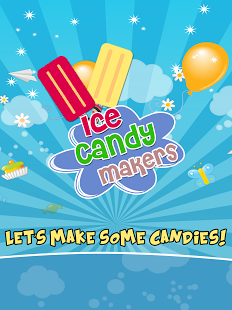 The new “Ice Candy Makers” is a free game of “Cooking Games” series of LaughingRocket. It allows kids to play as Ice Candy Man, and make their own Ice Candy according to their taste and esthetics. 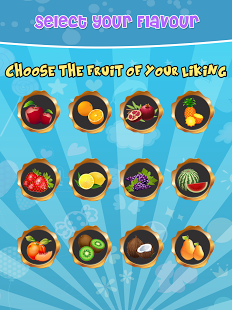 Fruits: Select from many fruits like banana, mango, apple, strawberry and many more to make flavors. Crusher: Spin the fruits off in the shaker to make the candy crush ready. Shapes: Select the shape for your candy like heart or star shape. Filling: Pour the candy crush with the special filling machine. 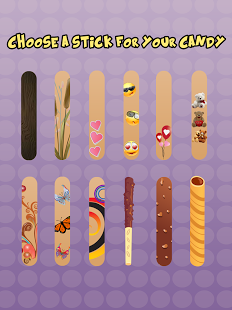 Sticks: Choose from a bunch of sticks for your Lolly. Freezer: Freeze your ice lolly in the freezer. Decoration: Select toppings and add-ons. Sharing: Share your Ice Lolly and Ice Creams with friends via Facebook, emails and skype. Laughing Rocket is the Mini Kids Fun Games studio, specializing in little fun kids games like maker games, dress up games, makeover games, car games, racing games, fun games, monster games, zombie games and other small color games.